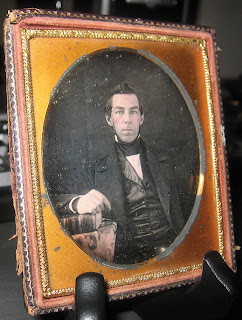 This circa 1850's Daguerreotype was a gift last Christmas from my partner. He said it looked like a Victorian photograph of himself. The funny thing is it does look a lot like him. 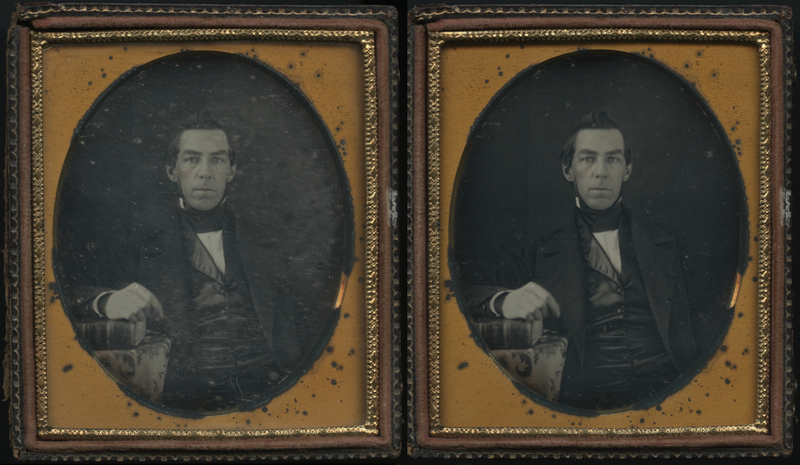 This is a sixth plate Daguerreotype of a very sharp dressed man with a book. Most likely he was someone of importance, perhaps a lawyer or a politican. Above: I had this dag professionally cleaned and archivally resealed. The before is on the left. 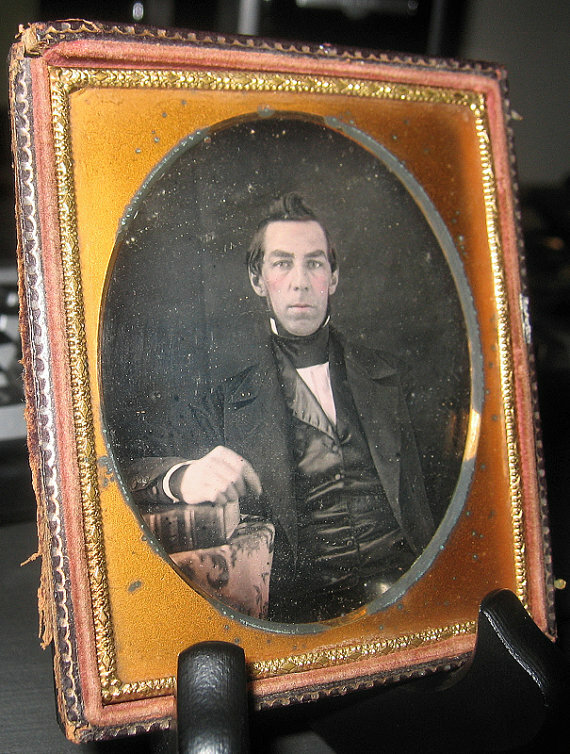 We have some "unknown ancestor" photos around here too. 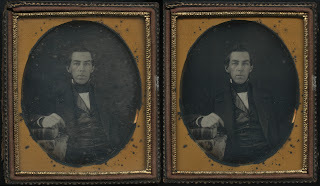 Antique images that either do resemble us or we have made up a family history for.